More than half of Europe’s forests have disappeared over the past 6,000 years thanks to increasing demand for agricultural land and the use of wood as a source of fuel, new research led by the University of Plymouth suggests. Using pollen analysis from more than 1,000 sites, scientists showed that more than two thirds of central and northern Europe would once have been covered by trees. Today, that is down to around a third, although in more western and coastal regions, including the UK and Republic of Ireland, the decline has been far greater with forest coverage in some areas dropping below 10 per cent. However, those downward trends have begun to reverse, through the discovery of new types of fuel and building techniques, but also through ecological initiatives such as the ongoing National Forest project and the new Northern Forest, announced by the UK Government in January 2018. 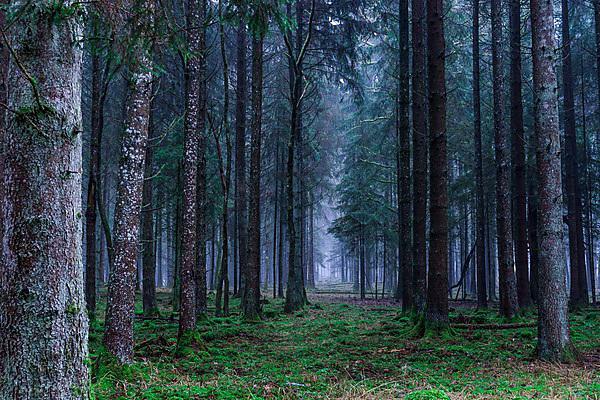 The research, which also involved academics in Sweden, Germany, France, Estonia and Switzerland, sought to establish precisely how the nature of Europe’s forests has changed over the past 11,000 years. It combined three different methods of analysing pollen data, taken from the European Pollen Database, and showed that forest coverage actually increased from around 60 per cent 11,000 years ago up to as much as 80 per cent 6,000 years ago. However, the introduction of modern farming practices during the Neolithic period sparked a gradual decline which accelerated towards the end of the Bronze Age and has largely continued until the present day. The full study – Europe’s lost forests: a pollen-based synthesis for the last 11,000 years – can be viewed in Scientific Reports doi: 10.1038/s41598-017-18646-7. Study a varied and exciting range of topics whilst gaining skills to equip you for a lifetime of learning. Geography at Plymouth is renowned as a vibrant, welcoming community committed to teaching and research.